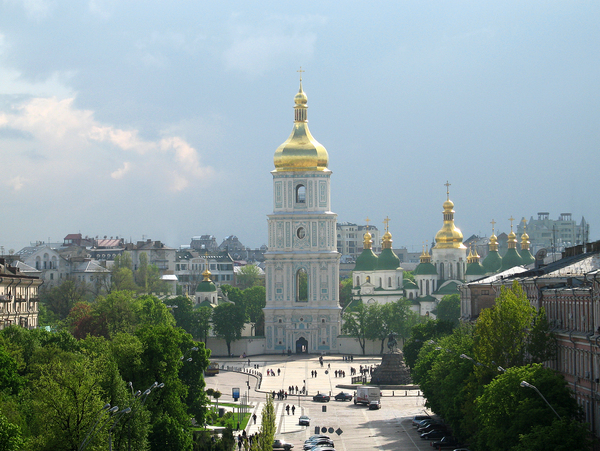 State Architectural and Historical Reserve Sophia Cathedral – “Sophia Museum” is located in downtown Kiev. At the reserve covers an area of ? ?5 hectares, of remarkable beauty is a monument to the national architecture XI-XVIII centuries. The most valuable building reserve is the St. Sophia Cathedral – the World monument of architecture and monumental painting of the XI century. It stands majestically in the center of the ensemble. Saint Sophia Cathedral in Kiev, built in the heyday of the Kievan Rus, a major eastern Slavic state, the cradle of three nations – Ukrainian, Russian and Belarusian.